Angela Merkel, as German Chancellor, is used to answering quick-fire questions under pressure. However, it seemed she was not playing along at home when her Christian Democrat party-member needed her help on a tricky Who Wants to Be A Millionaire question. In 2014, her political ally Wolfgang Bosbach tried to phone the chancellor twice when he was on a celebrity episode of the show. 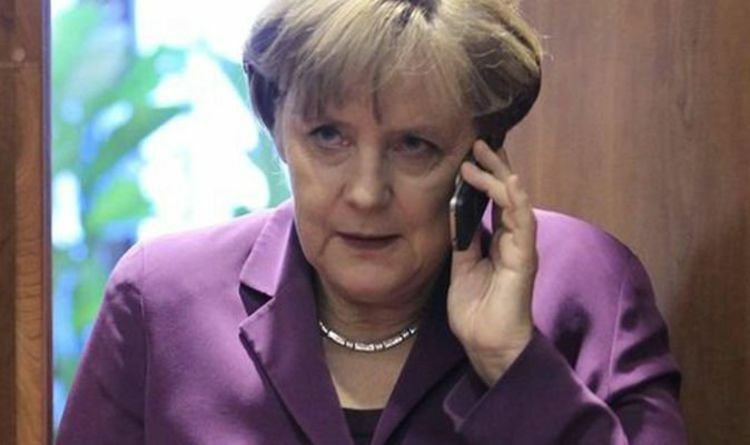 However, Mrs Merkel missed his calls, leaving the politician to walk away with 125,000 euros for his chosen charity, instead of going for the 500,000 euro prize. The question Mr Bosbach stumbled on was about an East German-era washing machine, the WM66. The question asked was: "Why was the WM66 so legendary? "Was it because a) it could generate electricity for heating, b) you could use it to boil food, c) it doubled as a vacuum cleaner, or d) it could receive radio signals from West Germany?" The correct answer to the question was that many owners of the washing machine used it to stew fruit. Choosing the phone-a-friend option, Mr Bosbach said: "Who should I call other than the chancellor?" Mrs Merkel famously grew up in communist-controlled East Germany, whereas Mr Bosbach was born in the West. He added: “She's always happy to see me and hear my voice." He got an assistant to bring him his mobile phone with his party leader’s phone number, so that her number remained private. However, Mr Bosbach was left hanging when his two calls to the chancellor went through to voicemail. She later texted her party-member back: “I couldn't pick up. What's the matter? However, it turned out that he did not have the president’s number. A lawyer by profession, Mr Bosbach has been a member of Mrs Merkel’s party since 1972, however he resigned from an active political role in 2017.